Apparently, under all of those scarves and beards, Brooklyn is hiding a sizable population of werewolves. That’s the premise established by Brooklyn Animal Control, at least, a comic book from IDW written by J.T. Petty with art by Stephen Thompson. The USA network picked up the rights to turn Brooklyn Animal Control into a TV show several years ago but, much like a hipster lycanthrope, it has quietly sat in the darkness and waited until the perfect time to strike. That time, apparently, is now. 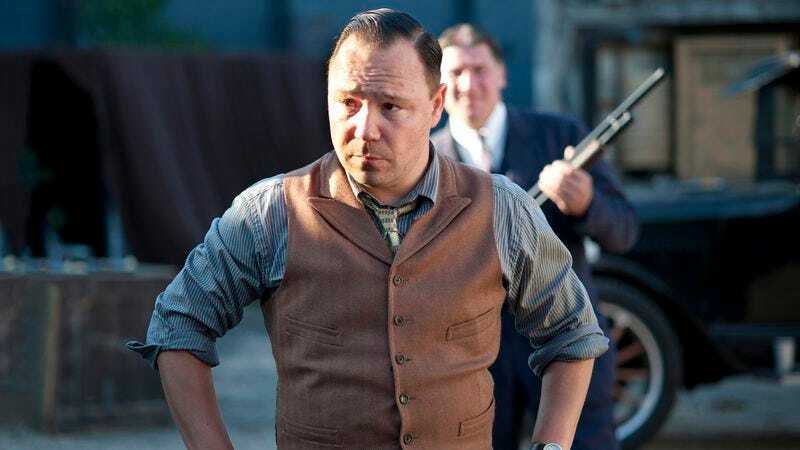 According to Deadline, Stephen Graham (who played Al Capone on Boardwalk Empire) has signed on to star in Brooklyn Animal Control as John Crean, “an officer of the Brooklyn Animal Control who is well-acquainted with the small community of werewolves to which he plays cop, counselor, and diplomat.” However, at some point he gets “backed against a wall” and has to “buck tradition and risk everything to protect his miscreant son.” Those damn miscreant sons! Always forcing their fathers to buck tradition.